In the past few years, the global marketing world is experiencing a video marketing frenzy,especially with the advent of numerous social media channels including Instagram into the video sector. People throughout the world are going video crazy! From consumers to the businesses, it is quite important to understand the utter relevance of video as a marketing tool and for all good reasons. 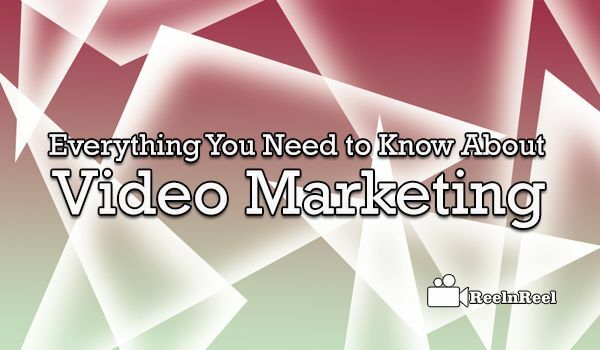 Most importantly, videos are now making it into every interaction people tend to make online. In fact, half of the entire video traffic is now routed to mobile phones or tablets – and that is incredible growth.No wonder, the video is taking content marketing by storm and more than just making one is needed to realise its full potential. But before anything else, the most important thing is to get introduced to the actual concept of video marketing, its value on business, its relevance, and its benefits. Most of the websites constructed with few aesthetic elements which play a vital part in communicating important messages to the audiences. These artistic elements usually comprise of visual, aural and conceptual art and the three further combine to become a video. In simpler words, a video is an image (visual), music (aural) and story (conceptual) all rolled into one. It is the actual and most appropriate way how a video should be approached to get a full time-bound attention from the audiences.And the best part is that the faster connection speeds have made it easier to make video instantly accessible to the web users. Video marketing is the unique process of promoting an entity online through video, and this can be very beneficial for a user or business. However, it is a very different method of engaging the audiences as the entire experience of comprehension is way more immediate than any other medium. It is also majorly driven by the trio of story-telling elements and the deterministic nature of the restricted timescale. Along with this, the amount of information that can be displayed to the audiences through one-second video immensely outnumbers that can read. This calls for higher and higher emotional response that is often experienced before the comprehension of the meaning of the content. You can easily recreate the incredible experience of getting face to face with someone through video rather than through audio, image or text. The video gives the exclusive prerogative of displaying much of whom one is, as an individual, marked through physical and verbal expressions. Consider the branding part the video is probably significant as it permits the businesses to come out of the ‘robotic’ side and rather display a ‘human’ that is considered more efficient. Market experts believe that online video can – if tried – even indicate professionalism and brand quality as an organisation that spends enough time, money and skills in creating a video are considered to be running a legitimate business with genuine interests. SEO is a very important for an aspect of every business no matter how big or small it may be and video is also a precious resource for SEO. It plays an integral role in generating more traffic through rich snippets, improving conversions and most importantly, link building. By adding video to the site and implementing the précised technical markup, it is quite possible to get augmented search results. Product videos are way popular in the E-commerce sector as it is an intelligent way of improving the rate at which the users click “add to basket” and complete the entire purchase. What most individuals fail to understand while designing a video is viewing it as a content akin to blog posts or interactive graphics rather than as a media type. The video is an integration of aesthetic elements that are symbiotic rather than disintegrated. The physical demonstration of blending a product has a more excellent appeal or visual punch than any other way. And then the optical display adds much more to the experience as videos work much better as text blog posts with some well-planned and structured accompanying images. As per recent market researchers and studies, by the year 2017, the entire video content available online will account for 69% of all consumer internet traffic. The online video market is also quickly becoming the critical means for people to satisfy their quest for maximum information and entertainment needs.Various studies even show that more than half of the companies are already making use of video marketing and the figure that is predicted to rise significantly as more and more businesses realise the possibilities. Many experts believe that at times organisations do not incorporate video into their content marketing strategy assuming it’s too expensive or ambitious. If you too are following the same, then you are certainly a big chance away to make an impression on young consumers. If stats are to believe, the young generation is expected to spend more than $200 billion annually starting in 2017, and that video marketing will play a starring role in influencing what they buy. ‎Fierce Hound Media & Consulting.